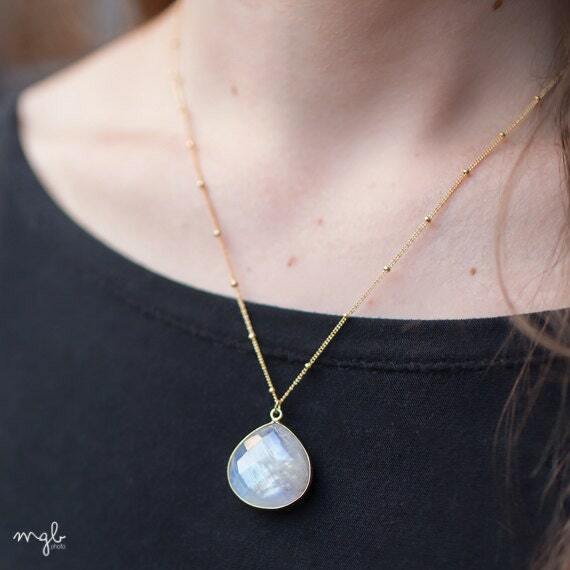 A genuine moonstone teardrop pendant hands below a marquise labradorite pendant for one flashy gold layer necklace! 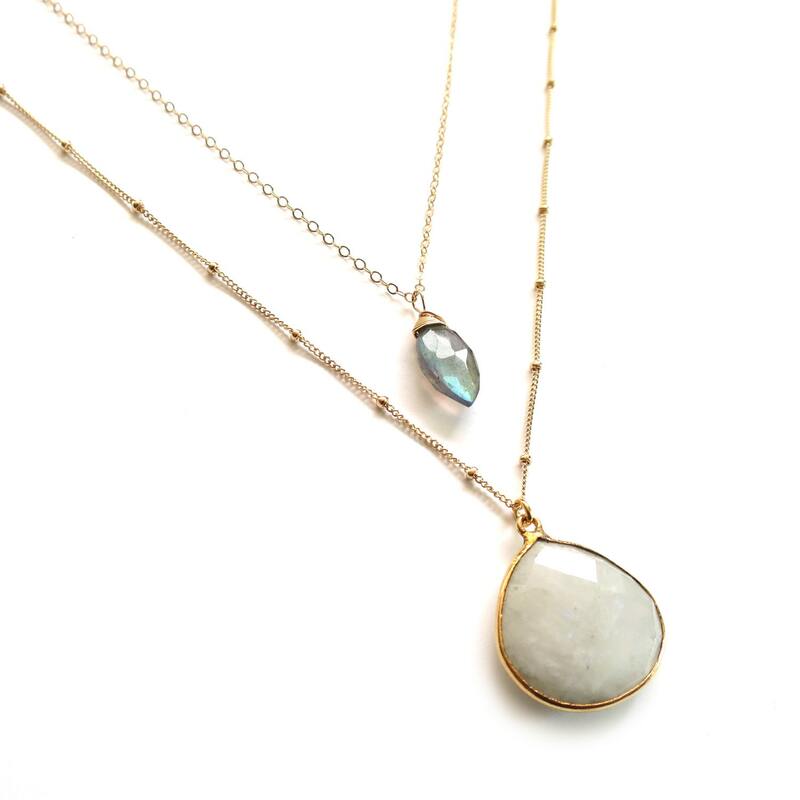 Moonstone has subtle flashes of blues, while labradorite has bright flashes of blues and greens. » Select your length at checkout. 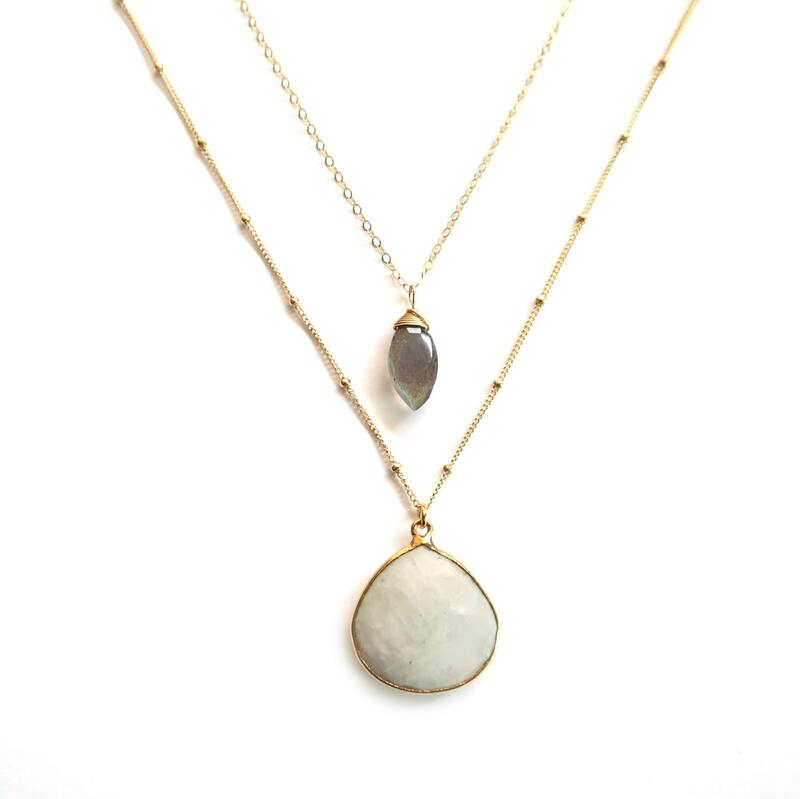 Length refers to the shortest necklace (the labradorite). The moonstone will be staggered by 2". 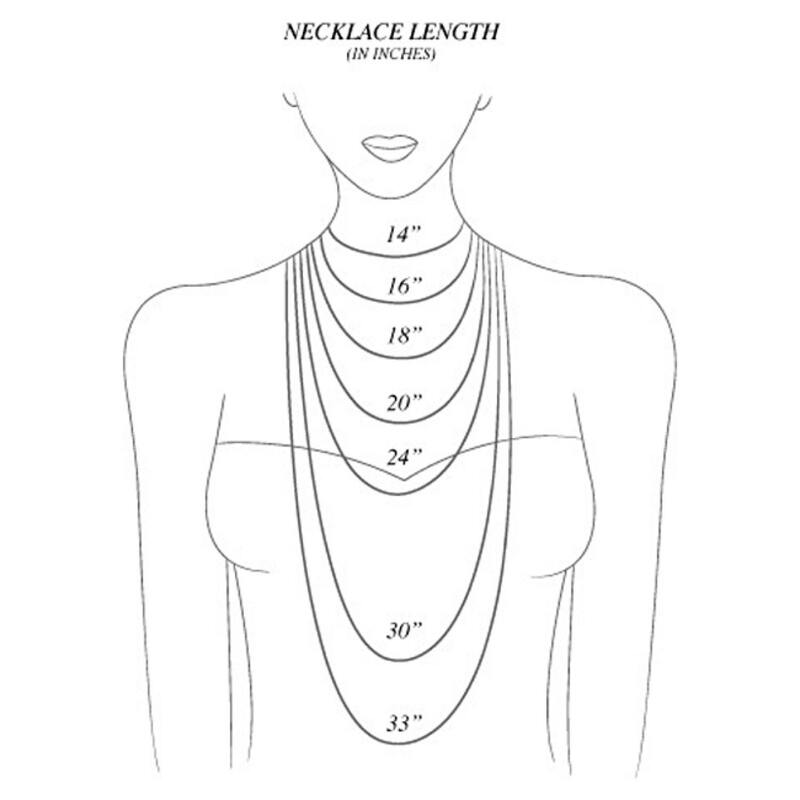 If you choose 16" as the shortest necklace, the shark tooth will be 18".